Nick’s practice encompasses all aspects of advisory, contentious and transactional employment law. This includes redundancy, restructuring and integration projects, employee outsourcing/ARD/TUPE, prosecuting and defending confidentiality and business protection matters, high-value discrimination and whistleblowing claims as well as executive engagement and termination. This comprises strategic advice and planning as well as operational execution and typically involves counselling senior management and at board level. Nick has experience operating in diverse sectors including financial services, industrials, business services, retail and luxury goods, construction, aviation and broadcast media. 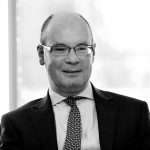 He is a commentator on employment law matters in the press including BBC television and radio, mainstream print media (FT, The Times, Daily Telegraph and The Guardian) as well as trade and specialist press.